Just in time for Halloween, I'm dusting off the old book blog and jumping back into the action. 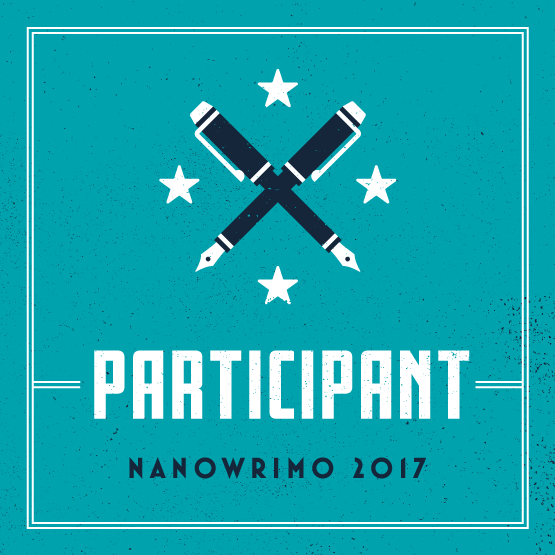 This is an interesting time to do it because, as many of you know, NaNoWriMo time is almost upon us! NaNo is known as that time of year when I need to write about 1,600 words a day (notice the connection to the title of the blog?) as well as that time of year when I am extremely grouchy. Still, it is such a great way to hammer out lots of good and bad writing and make a decent dent in a project. I'm actually recreating a draft that I lost. 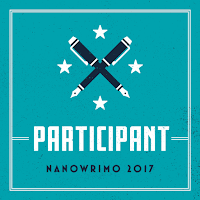 I finished about half of the redo during Camp NaNoWriMo and I'm hoping to get the rest done during this year's NaNo. Before we jump into the Novel Writing Month updates, I will be serving up a review of an indie sci-fi book for y'all, so stay tuned; you're not going to want to miss this one. I've been tempted to live-tweet my stream of consciousness reactions to this book as I read to add an interactive element, but that probably would have been too raw and wouldn't have been helpful to anyone. I am doing something a bit different with this since I haven't done many reviews of books by people I know, but sometimes, you just have to make exceptions. I look forward to checking in with all of you soon and hope that you are heading into the weekend happy.